Since its introduction nearly three years ago, the LG Chocolate series has been one of the best selling music-centric phones offered by Verizon Wireless. 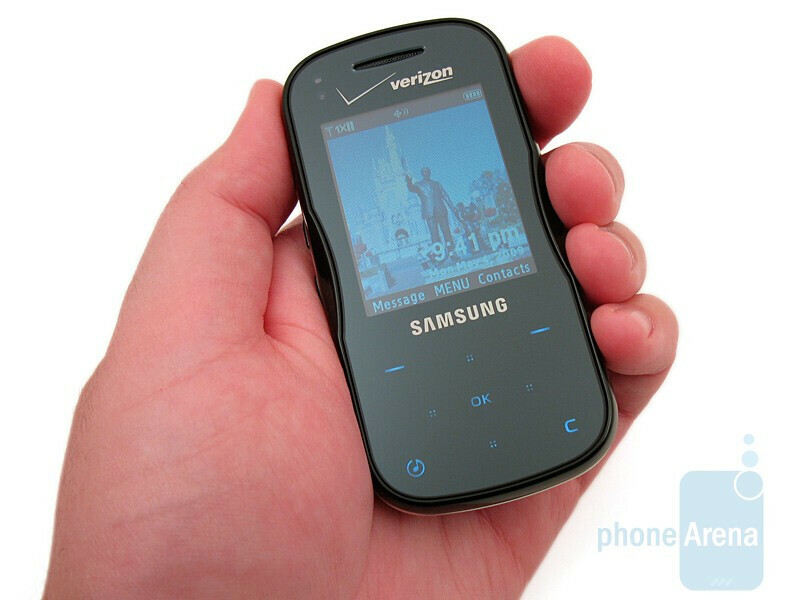 Samsung then followed suit and tried to get a piece of the action with their Juke device, but it was little more than an MP3 player with a built in phone. Now a year and a half later comes the Samsung Trance U490 slider, which is reminiscent of the original Chocolate, but how does it compare to the current LG Chocolate 3 offering? Let’s find out! 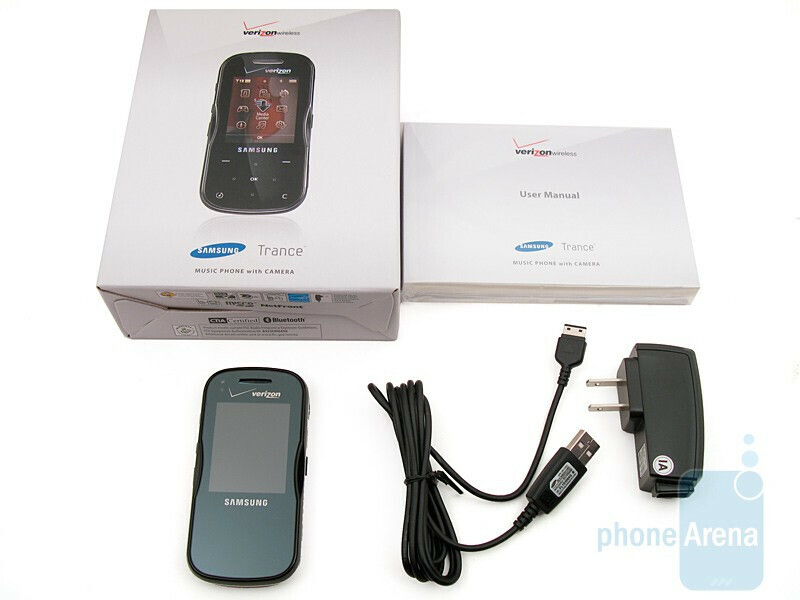 Included in the retail package in the Samsung Trance U490 phone, 880mAh battery with cover, wall charger with detachable proprietary USB cable, and user manual. 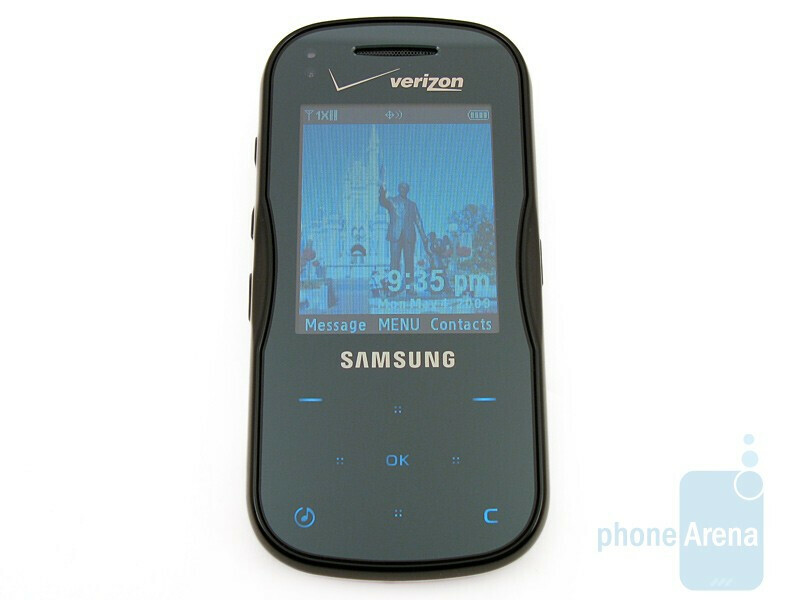 As we mentioned, the Samsung Trance U490 is a slider style phone and is available in two color options: Piano Black and Electric Red. 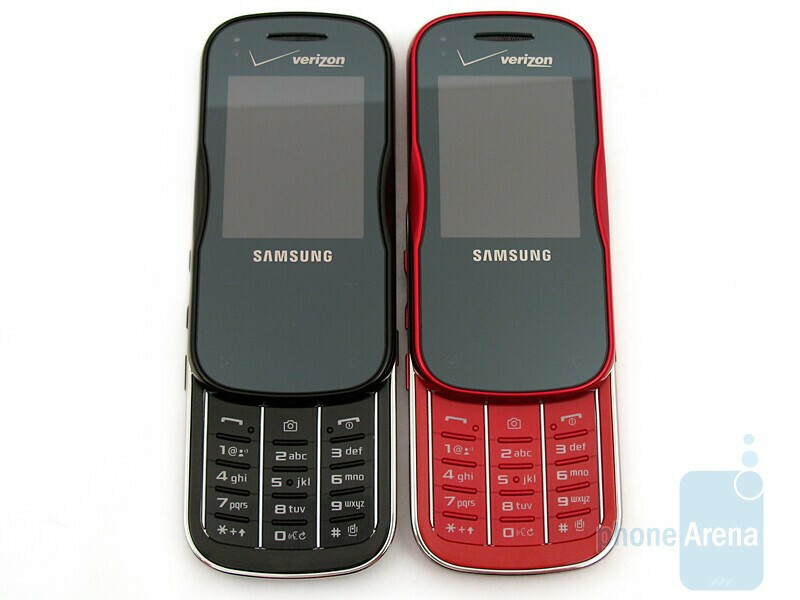 The black model looks like it could be the next Chocolate, if it wasn’t for the Samsung branding on the front of the device, while the red model is very reflective and puts us in mind of a metallic red bowling ball color. 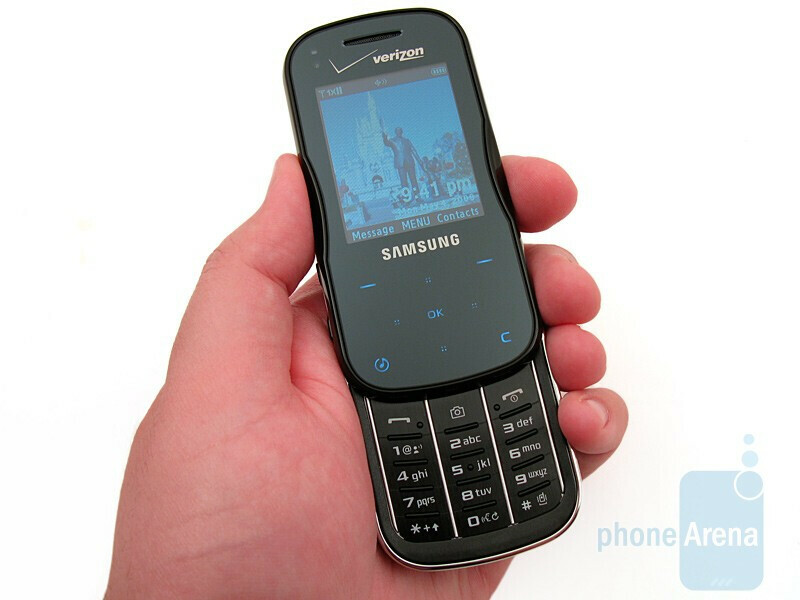 The overall feel of the phone is very slick, and there were several instances where we thought the phone was going to slip out of our hands. The sliding mechanism is very smooth, but you can hear some plastic parts moving. 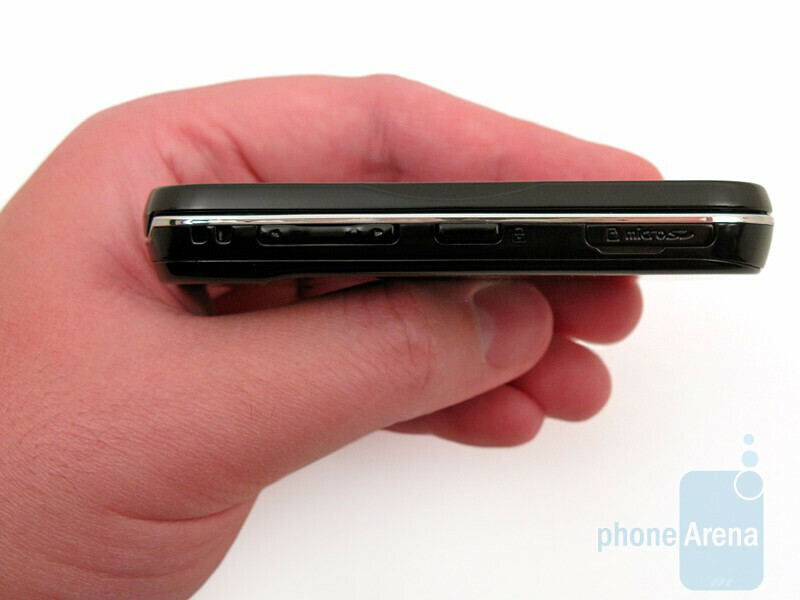 With the device closed, it is about the same size as the LG Chocolate 3 and can easily be tucked away in your pant’s pocket without getting a lot of attention. You can compare the Samsung Trance U490 with many other phones using our Size Visualization Tool. The 2.1” 176x220 pixel display takes up most of the front real estate. Images and text look OK, and there are 6 brightness settings available to the user, but we still wish a QVGA display were used instead. 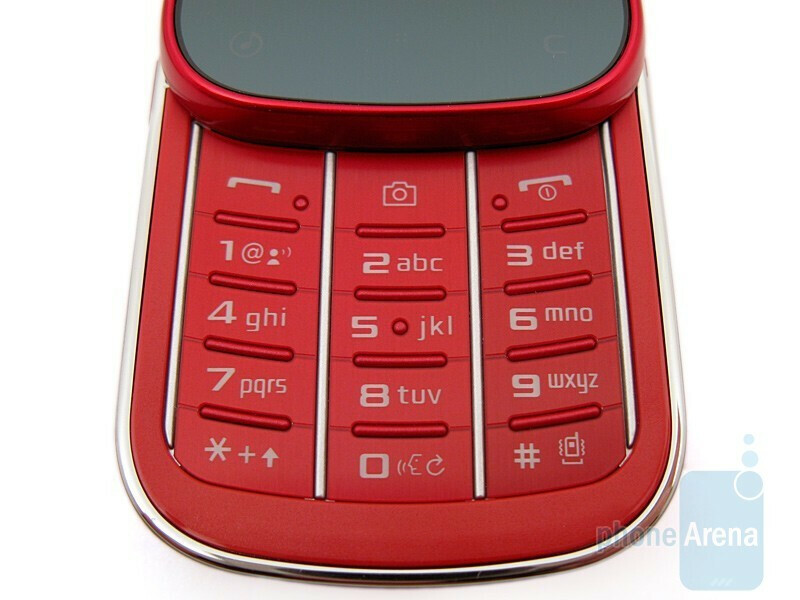 At the bottom is a 5 way d-pad, left and right soft keys, clear and music button, all of which are touch-sensitive and use capacitive technology. They have a white backlight that will flash when you activate a key, as well as producing a “beep” sound and haptic feedback. However, the vibration was quite strong and annoying, so we turned it off. We also set the Touch Sensitivity level to high, which made it more responsive. 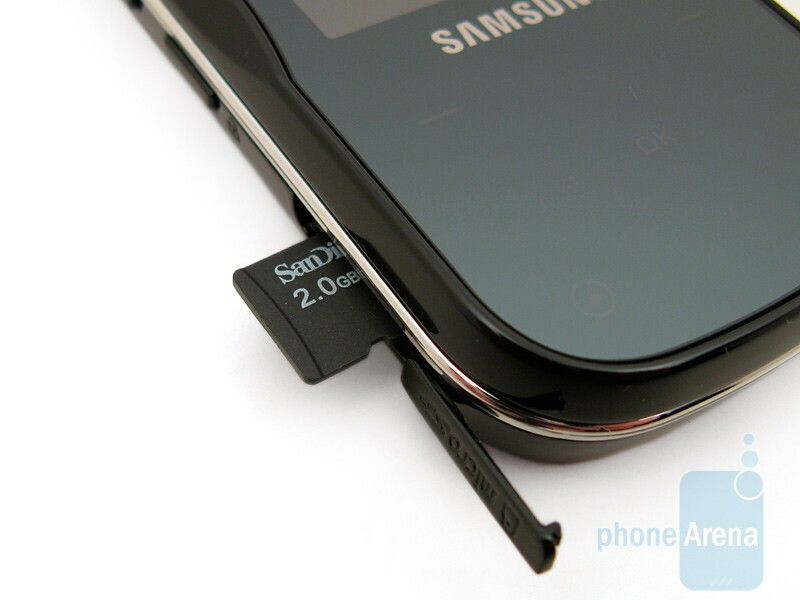 Samsung has had issues with their capacitive technology in the past, such as the Glyde, but we’re glad the say that we didn’t experience any problems with the touch-sensitive buttons on the Samsung Trance U490. Located at the top (next to the earpiece) is a proximity sensor that will automatically lock the touch-sensitive buttons while you are on a call and the phone is placed next to your face. 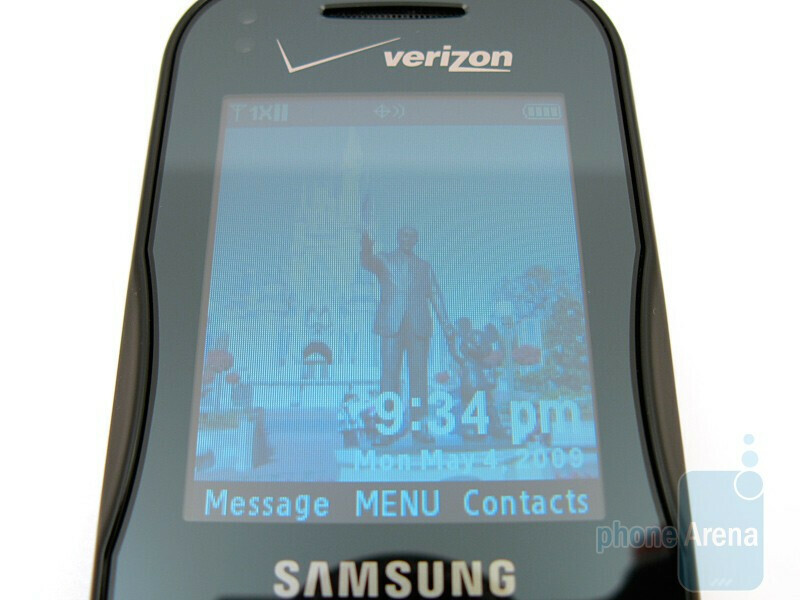 Once you move the phone away from your face, the display will turn back on and the buttons will light up. 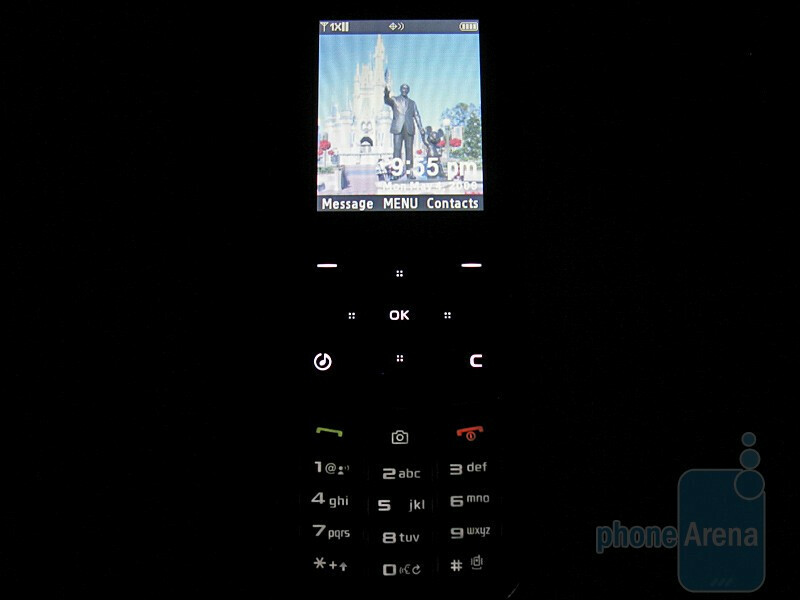 Sliding open the Samsung Trance U490 reveals the hidden numeric keypad with white backlighting. 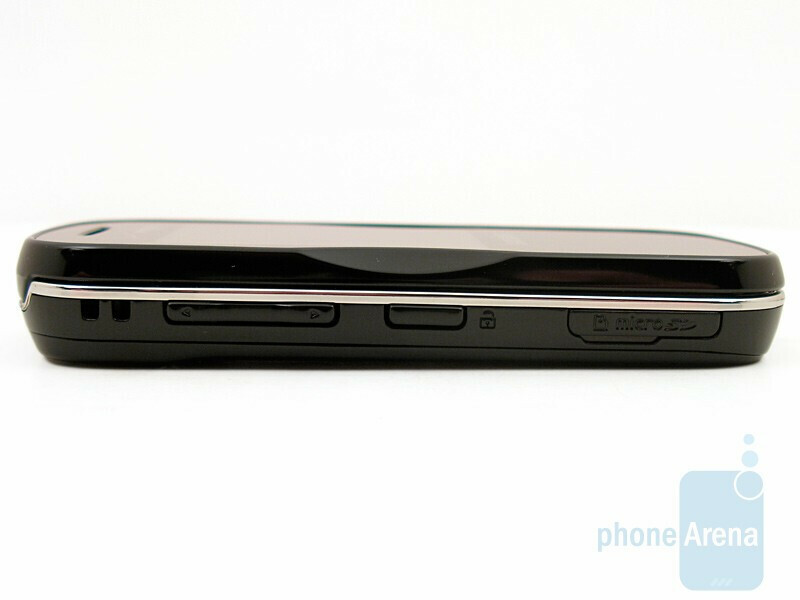 Their layout and size is almost identical to the LG Chocolate VX8550, except they are slightly curved on the sides and have raised edges separating each key. Because of this, we had no problem dialing or texting by touch alone. 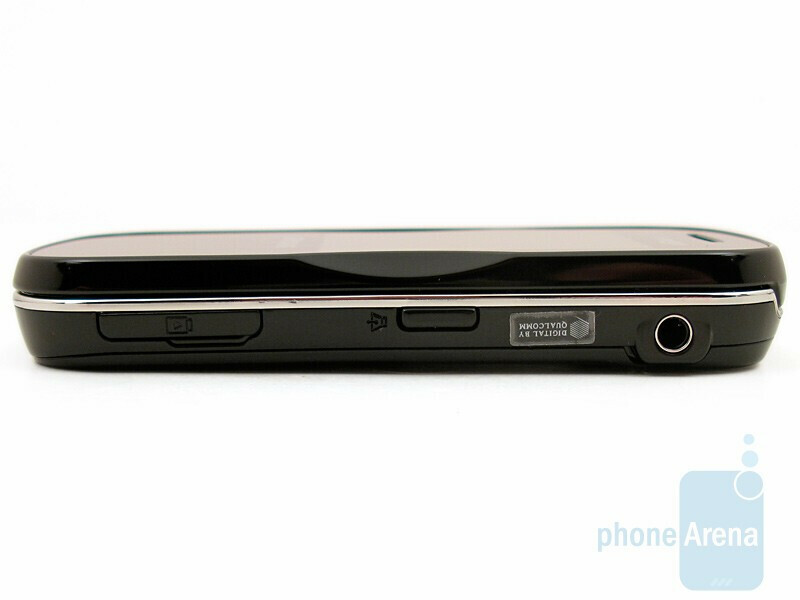 Along the sides are the volume rocker, lock/unlock button, speakerphone button, charging/data port, 3.5mm headset jack, and microSDHC slot that accepts up to 16GB memory cards. 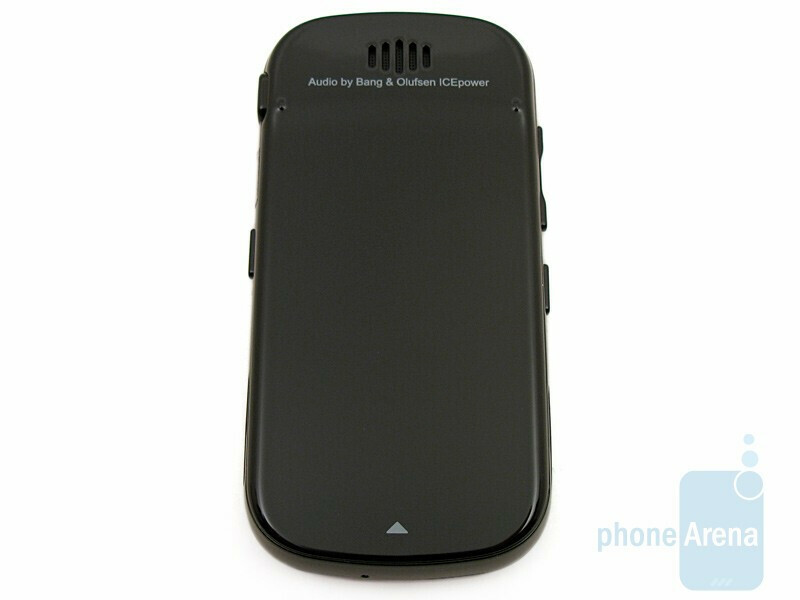 On the back is the external speaker with “Audio by Bang & Olufsen ICEpower” label and hidden 1.3MP camera that requires the phone to be slid open to use.